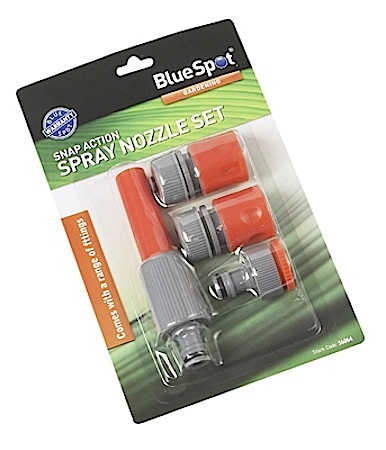 A 4pc snap action spray nozzle set from Blue Spot Tools. 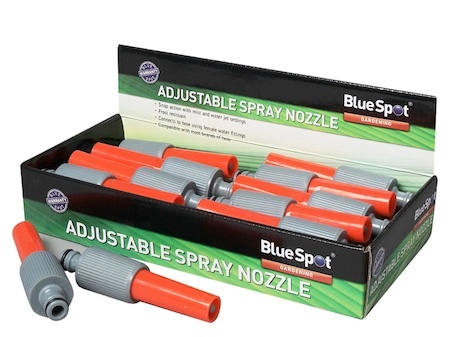 This garden fittings set includes a snap action spray nozzle, female hose fitting, female waterstop fitting and a 1/2" and 3/4" threaded tap connector. This set will fit all outside taps and is compatible with most brands of hose. A garden essential at a superb price.